On Thursday, the St. Louis Cardinals system went 2-for-4. Player of the Day Conner Capel went 4-for-8 including a triple, run scored and RBI in Palm Beach’s twin bill split. State College was eliminated from playoff contention. Results from the games played Thursday, August 30th. The Redbirds could not overcome an early deficit, falling at Round Rock, 9-3. Memphis (81-55) dropped the road series, one game to two. Kevin Herget (L, 9-11) put his team in a 7-0 hole after two innings, yielding nine runs, six earned, on 12 hits and a walk through 4 1/3. 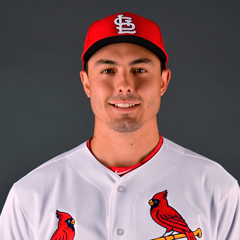 Conner Greene, newly named to St. Louis’ 2018 Arizona Fall League contingent, tossed 2 2/3 scoreless frames, yielding two hits and a base-on-balls while stranding an inherited runner. Tommy Layne faced the minimum in the eighth. Two newly decorated Redbirds led the team’s seven-hit effort with two hits apiece: Tommy Edman and Lane Thomas. 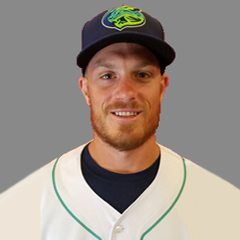 Both players will participate in the Arizona Fall League while Thomas was the only Springfield player named to the Texas League’s post-season All-Star squad. Edman smashed his first Triple-A triple, touching home once and Thomas’ solo shot was his fifth for Memphis. 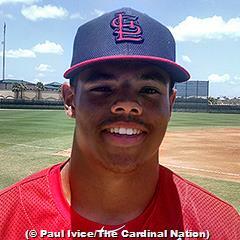 Chris Chinea’s three-run blast launched the S-Cards to a 6-3 victory over Arkansas. Springfield (27-38) trails in the home series, one game to two, with one contest to play. Chinea’s 14th home run of the season capped his squad’s five-run first and was his only hit in four at bats to go with three strikeouts. John Nogowski was the only Springfield player with a multi-hit performance, going 3-for-4 and scoring his only tally on Chinea’s bomb. The S-Cards had nine hits in all. 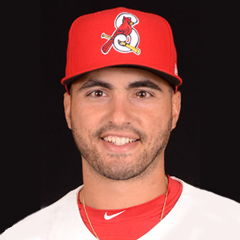 Genesis Cabrera hurled six solid innings, allowing two runs on four hits and a base-on-balls for his first S-Cards victory in four decisions. Both tallies came in his final inning of work when the lefty yielded two singles sandwiched around a walk and wild pitch. Roel Ramirez gave up a run via a walk and RBI double in his only frame on the bump. Seth Elledge fanned three over the last two innings for his fourth save. The Beach Birds split a twin bill at Dunedin (36-30) (TOR), suffering a 3-2 walk-off loss in the opener but claiming the finale, 4-1. Palm Beach (34-30) split the four-game set. The visitors led 2-1 with three outs to go in Game 1, but Will Latcham (BS, 4) could not seal the deal, permitting a game-tying tally in the home half of the seventh. Austin Sexton (L, 2-3) gave up the winning margin on two intentional free passes plus a single. Starter Jesus Cruz retired his first batter before departing due to an arm injury. Mike O’Reilly held the Blue Jays to a solo long ball from rehabbing Major Leaguer Josh Donaldson comprising one of the four hits he allowed in 4 2/3. Latcham tossed a one-two-three sixth before running into trouble. Conner Capel had half of his team’s four hits, going 2-for-4. His triple scored Ryan McCarvel, who reached on a fielding error. Scott Hurst’s sac fly knocked in Kramer Robertson (force) for Palm Beach’s first run. In the nightcap, a makeup of Wednesday’s contest postponed due to rain, the PB-Cards fell behind early when Jake Walsh (W, 7-4) surrendered a home run in his initial inning of work. Walsh shut down the opposition the next four frames, striking out six in five innings with four hits and a base-on-balls permitted. Jacob Patterson worked around two hits for two scoreless frames, notching his fourth save. Palm Beach banged out 11 hits, paced by three players with two hits apiece: Capel, Juan Yepez and Zach Jackson. Capel and Yepez each singled twice in four at bats, Capel crossing home once and Yepez knocking in one. Jackson, making his A-Advanced debut after a leap from Rookie League Johnson City, went 2-for-3 with a run scored while batting ninth. 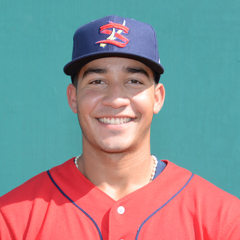 A double by Elehuris Montero, who went 1-for-3 with a run scored and RBI, was the only hit to go for extra bases. The misfiring Chiefs’ offense resulted in a 3-1 home loss to the Cougars. Peoria (37-28) has lost the first two of the three-game series. Peoria matched Kane County’s seven hits but squandered numerous scoring opportunities, going 0-for-13 with runners in scoring position. Their sole tally was unearned, occurring when Rayder Ascanio reached on a throwing error, advanced to third on Nolan Gorman’s double and scored via a ground out by Julio Rodriguez. Nick Plummer was the only Chief with more than one hit, singling twice in four at bats out of the eight hole. Johan Oviedo (L, 10-10) held the Cougars scoreless over his first four innings but was tagged for three runs, two earned, in the fifth. The right-hander gave up six hits and two walks over five, including a solo long ball. C.J. Saylor (1.2 IP), Patrick Dayton (1.1 IP) and Ben Yokley (1 IP) shared scoreless pitching results the rest of the way. The Spikes (34-38) fell to the Black Bears, 5-3, their second loss of the three-game series. More importantly, the defeat officially eliminated State College from postseason contention. Diego Cordero took the loss, his fifth against two wins, after yielding four runs on nine hits and two free passes over 5 1/3. Michael Baird left Cordero’s last runner on base but was touched for an unearned tally during his 3 2/3 innings of work. Baird fanned five with two hits allowed. Edwin Figuera had the best night of any Spike at the plate, going 3-for-5 with a triple, run scored and one driven in. His only other teammate with more than one of the team’s seven hits was Alexis Wilson, who singled twice in four at bats. Defensively, Figuera, Wilson and Delvin Perez each committed miscues.